The Atom is a popular dry suit available from Palm and is available in both men and women’s cut. 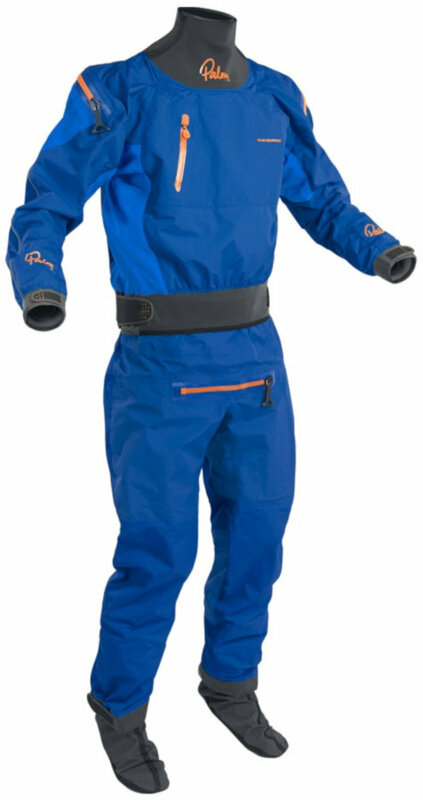 A great all round hard wearing dry suit with latex seals, fabric socks & relief zip. 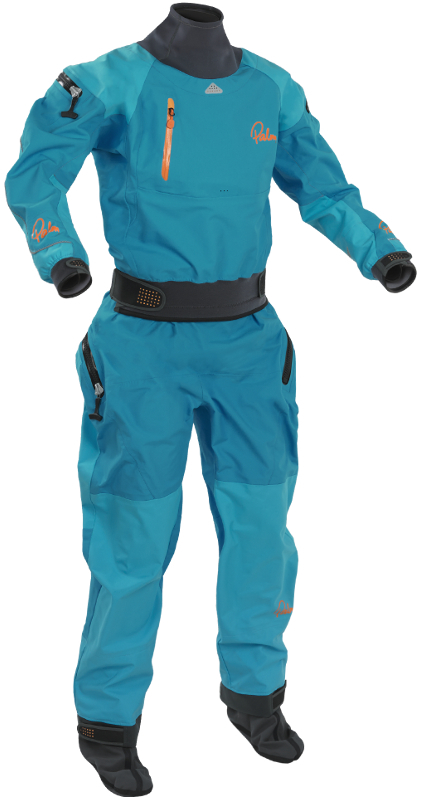 The Palm Atom dry suit builds upon the proven performance of the Atom cag. Its new 4D Cut minimises the number of seams and positions those that remain away from the main wear points. The result is a very comfortable suit with excellent freedom of movement that should go on keeping you dry for a good time to come. The Palm Atom Suit is constructed from Palms XP-4 Layer Waterproof Fabric that offers excellent breathability whilst being hard wearing. 4 layer 320D reinforced panels are fitted on all the main wear areas. A rear entry YKK AquaSeal zip, heavy duty double taped socks and UK made latex neck with 1.5mm neoprene protective collar and wrist gaskets with Velcro adjustable cuffs. The men’s version features a front relief zip and the women's suit a dropseat relief zip. In summary the Palm Atom dry suit can been a great choice for whitewater paddling. A highperformance 4-layer fabric that is supple, durable, highly waterproof & breathable. We offer a delivery service for the Palm Atom Dry Suit to home and work addresses throughout England, Wales, Scotland, Northern Ireland & Ireland. Buy a Palm Atom Dry Suit online from our website and collect from our store in Newhaven, East Sussex or from any branch within the Canoe Shops Group. There is no cost associated with this*. If you need any further information or advice about the Palm Atom Dry Suit, please contact us and we'll be glad to help.